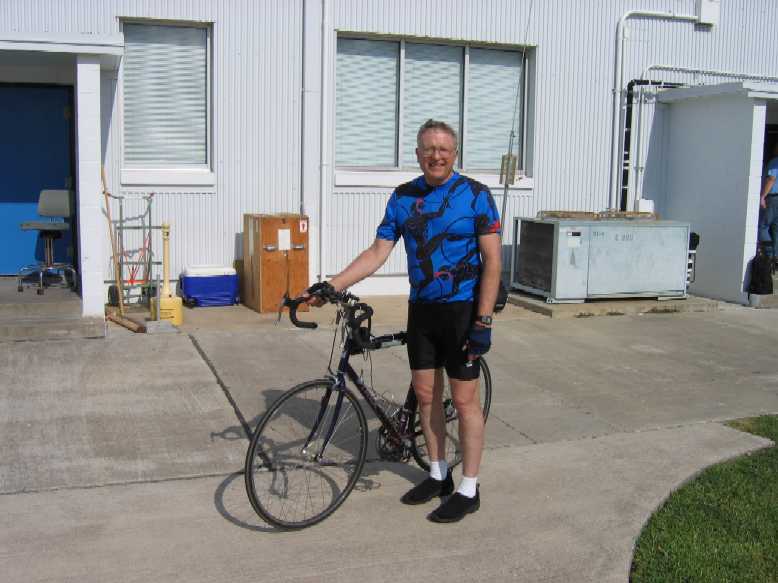 This is a discussion of a bicycle mobile for HF running 100 watts. 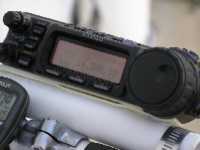 The transceiver is a Yaesu FT-857 which weighs about 4 pounds. 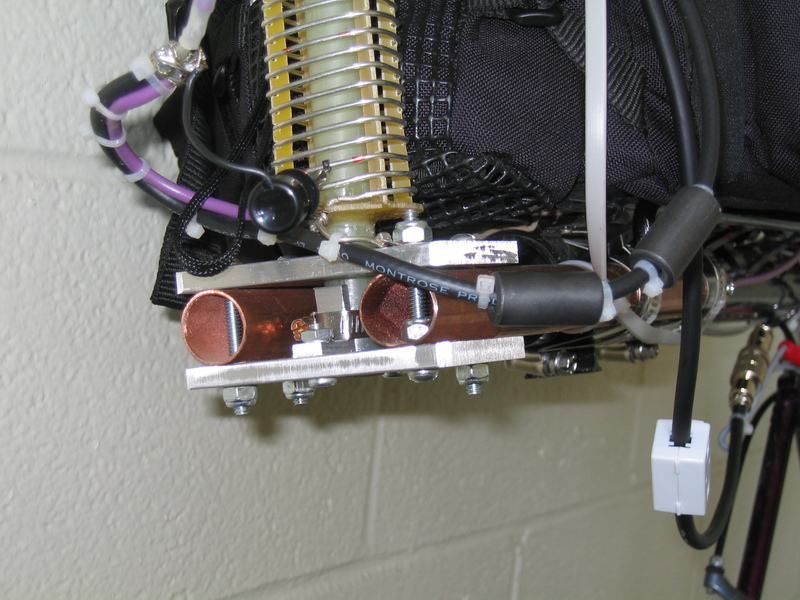 The console of the transceiver is separated from the main transceiver body and is mounted on the handle bars. The antenna is home-brew and the rig is powered by a 12 Ah, gel cell which gives at least 2 hours of normal operation in between charges. 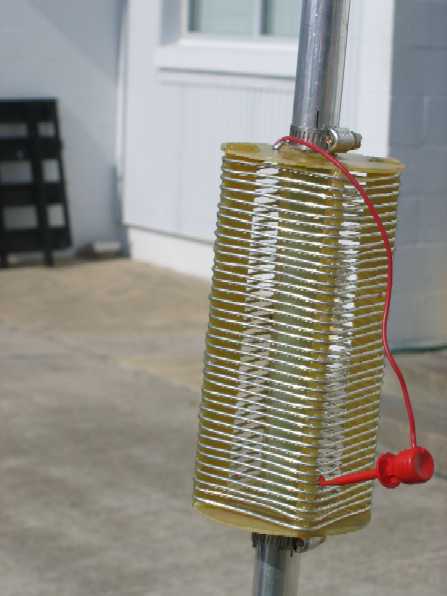 The gel cell weighs about 8 pounds. Figures A, B, and C show the basic bicycle installation. Photos D and E1 show details of the headset with and without the helmet. 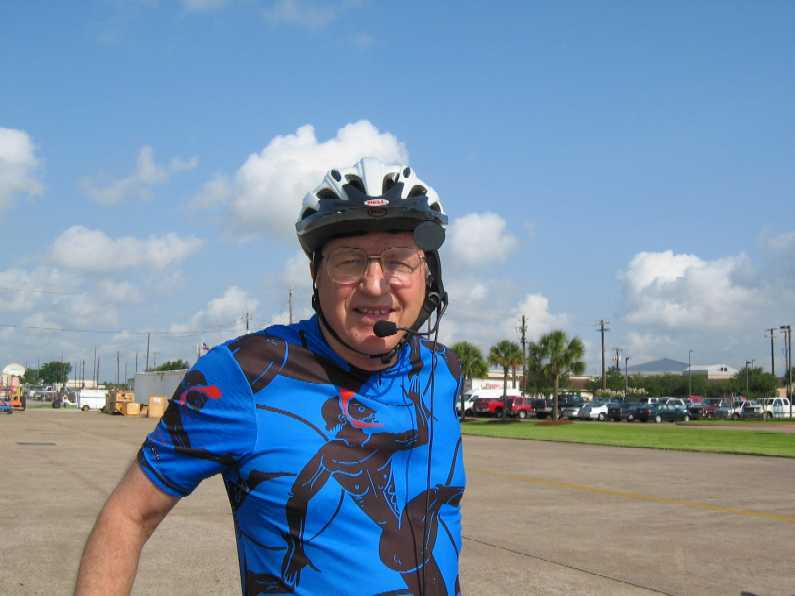 Photo E2 was captured as I was riding into work in Houston, TX. 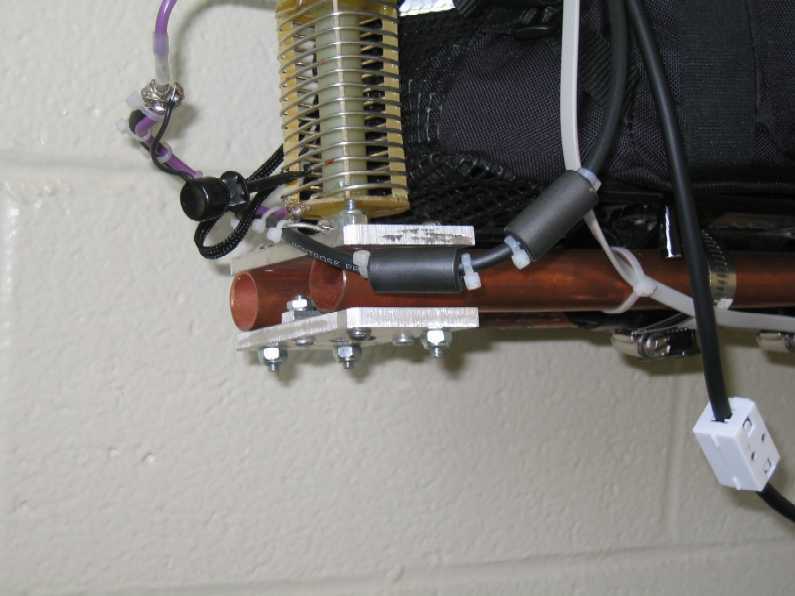 Pictures F, G, and H show details of the loading coil. The ruler is 6 inches long. 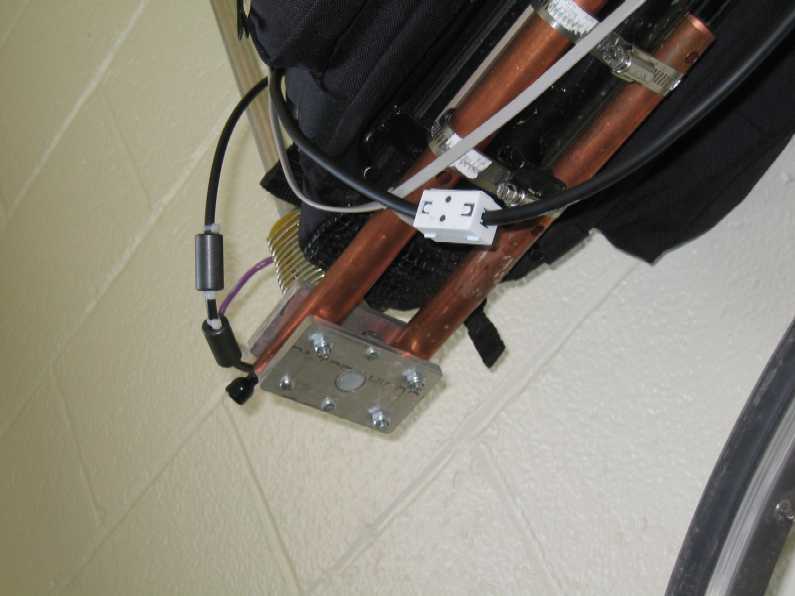 The coil is made from PC board material with the copper stripped off. The center rod is a 5/8 inch diameter, fiber glass rod which is the main structural element of the coil. 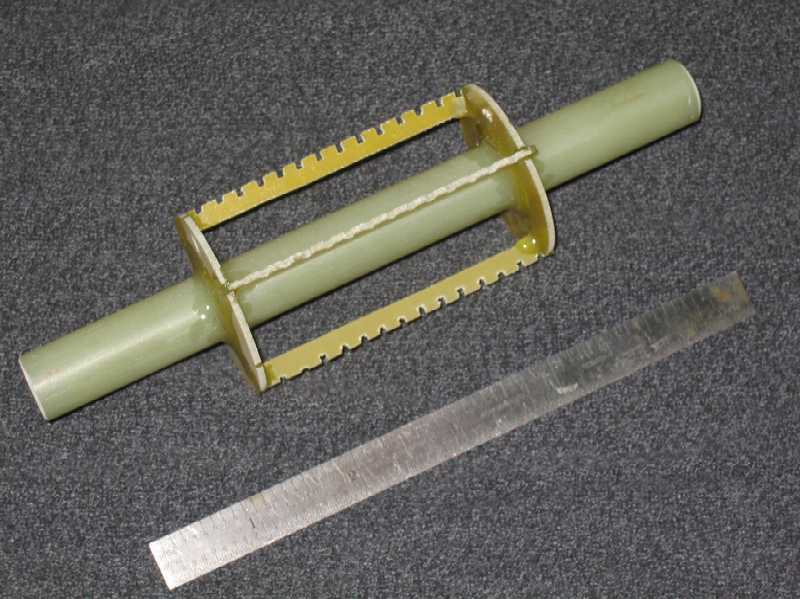 The coil supports were stacked together with double sided tape, marked for the correct coil pitch, and slotted altogether with a band saw. They were then separated and installed as shown. Figure G shows the finished form held together with epoxy glue, and figure H shows the wire on the form. 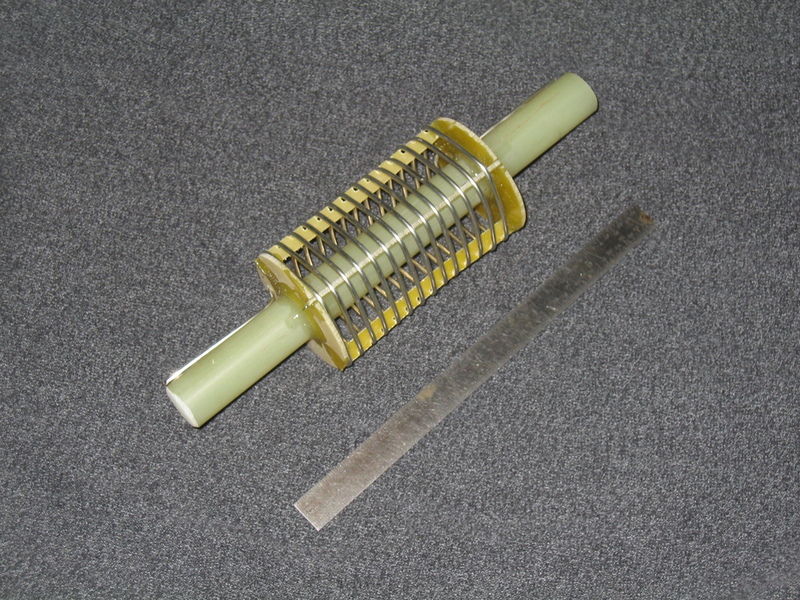 A small drop of epoxy glue was applied to the coil at each slot on the form. The finished product is very sturdy and robust. 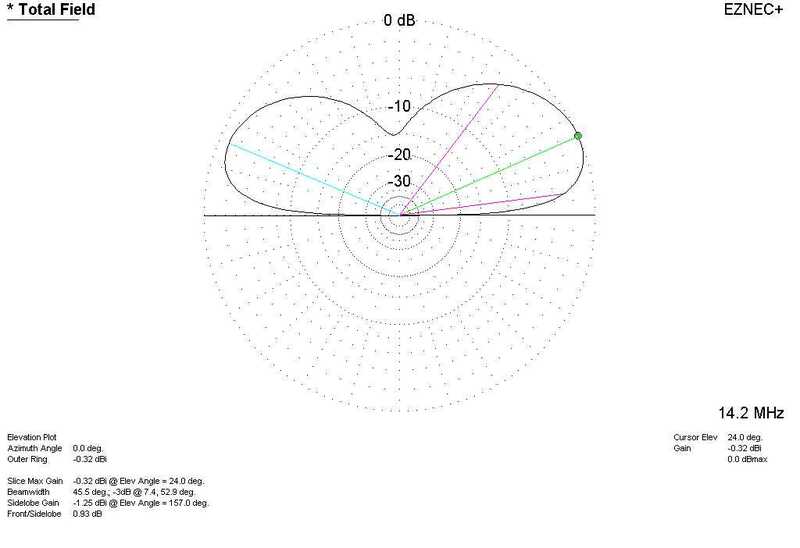 Figures I and J show the main tuning coil. This coil measures about 33 uH with an unloaded Q of about 450 at 7 mHz. Photos K, L, and M show the details of the mount. 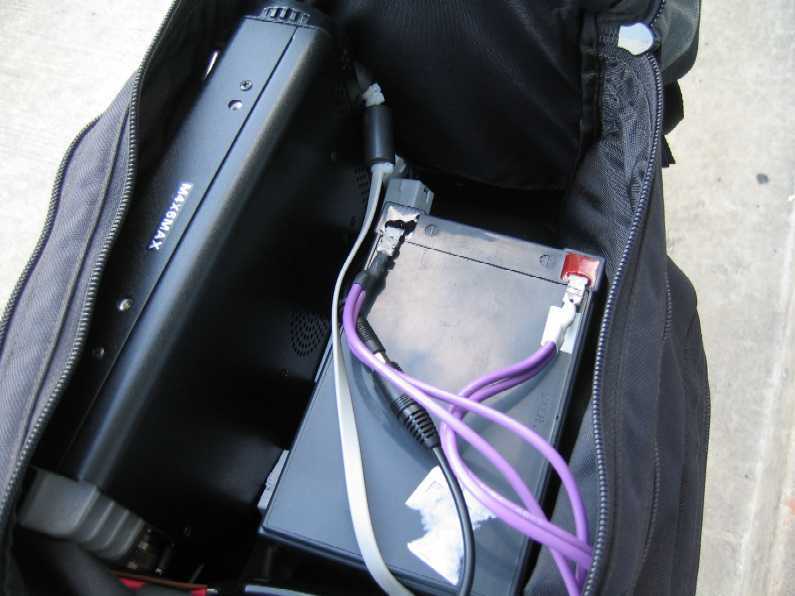 Photo N show the transceiver and the battery sitting in the back pack. 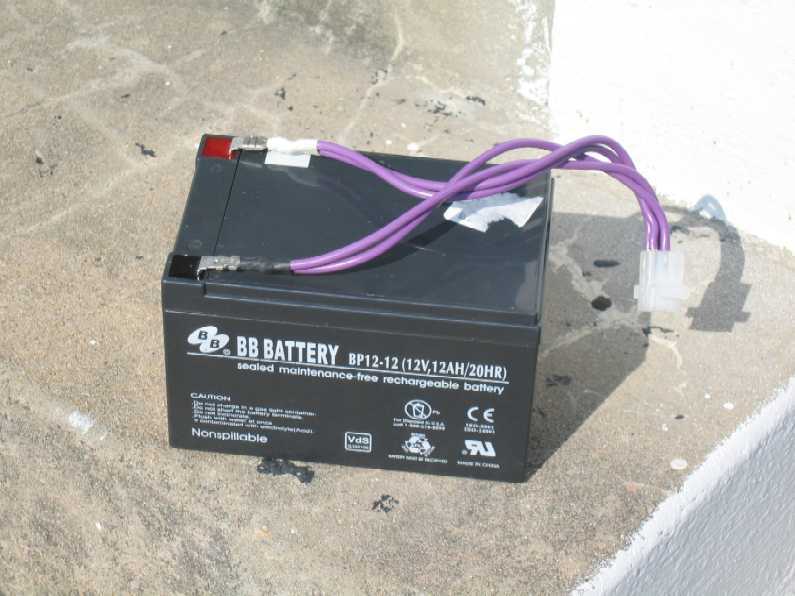 Photo O shows the battery removed from the back pack. 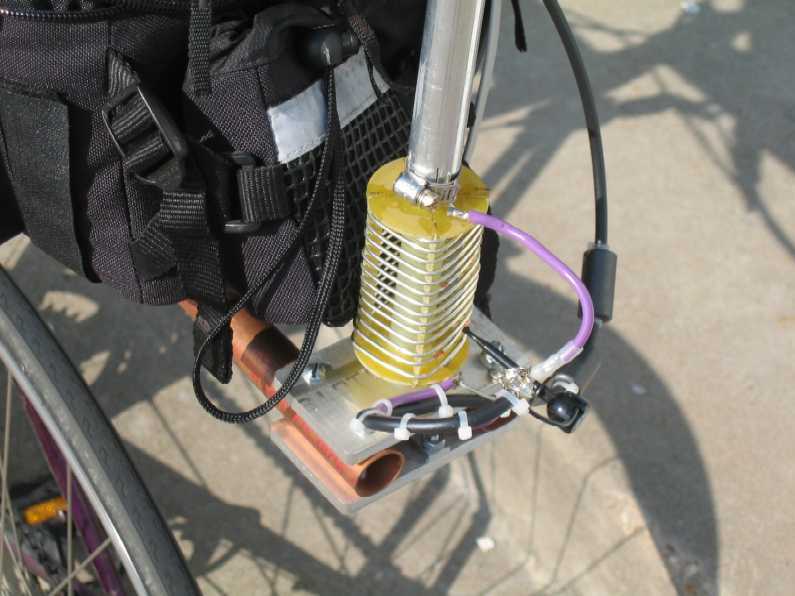 The battery is charged between rides by applying about 14 volts current limited to 300 mA for several hours. I have used this arrangement to commute to work and, it has worked well. The console of the FT-857 is mounted to a 1" diameter piece of PVC pipe using some double sided sticky tape and a single tie wrap. A toggle switch is epoxied into the right opening of the pipe for transmit control and the connection for it comes out the left side of the pipe. 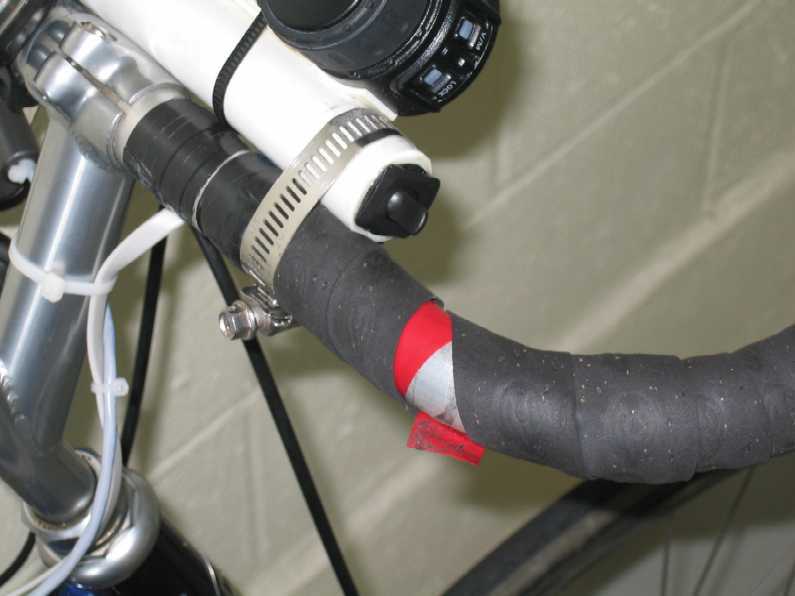 The pipe is held to the handle bars with hose clamps. Photos P and Q show those details. Photo R shows the transmit switch. 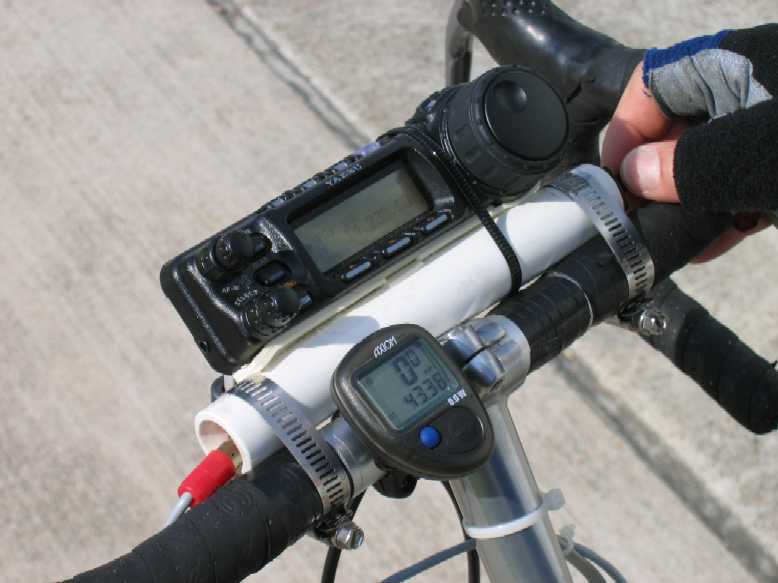 It is a SPST toggle that I can work with my thumb without removing my hands from the handle bars. I can tune the radio with my thumb in a similar manner. 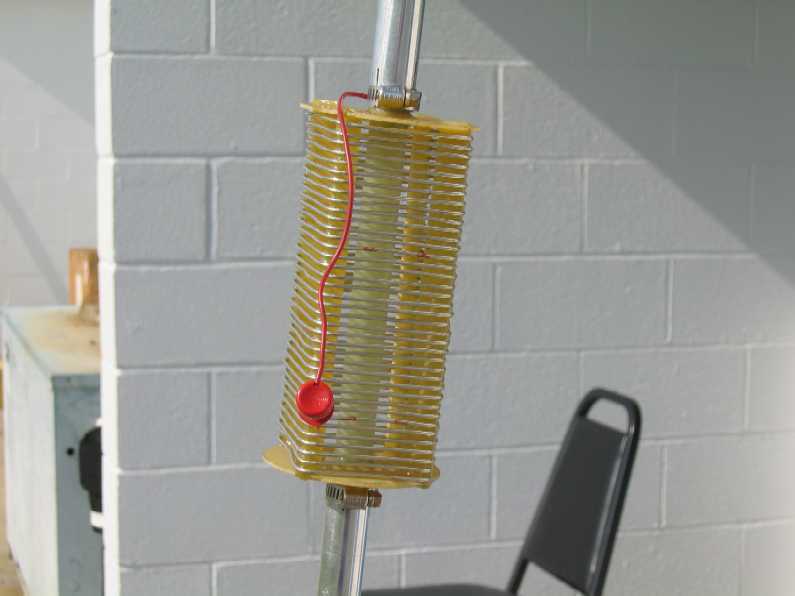 The antenna has a 22 inch extension between the loading coil and the tuning coil. The stinger is 96 inches long with a 6 inch adapter between it and the loading coil. 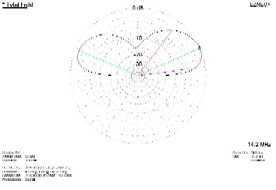 RF exposure was checked using the conventional formulas and was found to be safe. 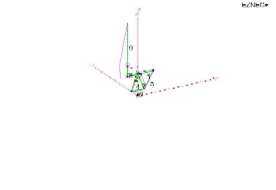 Figures S and T show the 20 meter, EZNEC modeling that I did on the installation. 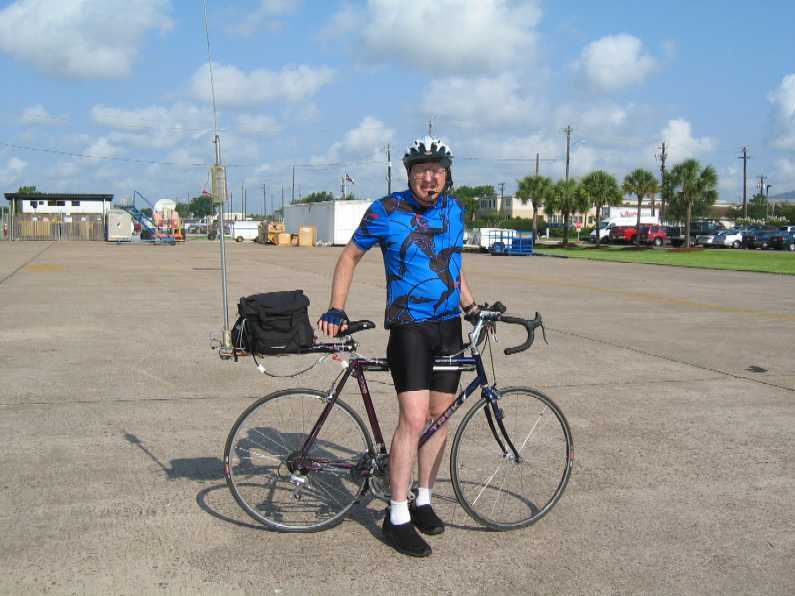 The rig has worked well so far with good contacts on 20 meters during my commute in Houston, TX. Both coasts, Europe and South America have been worked. I have had exceptionally good conditions between Madison, WI and Houston every day. On my way to work, I have been able to talk to my friends on 14238.5 kHz without fail. 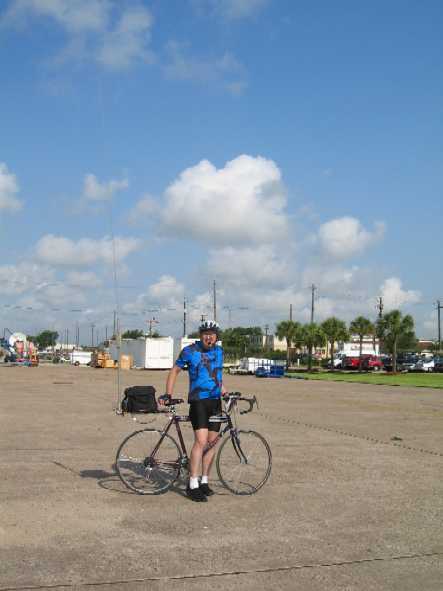 On July 3, 2005, I was headed north at about 15 mph on the Old Galveston Highway from my motel on Bay area Blvd. 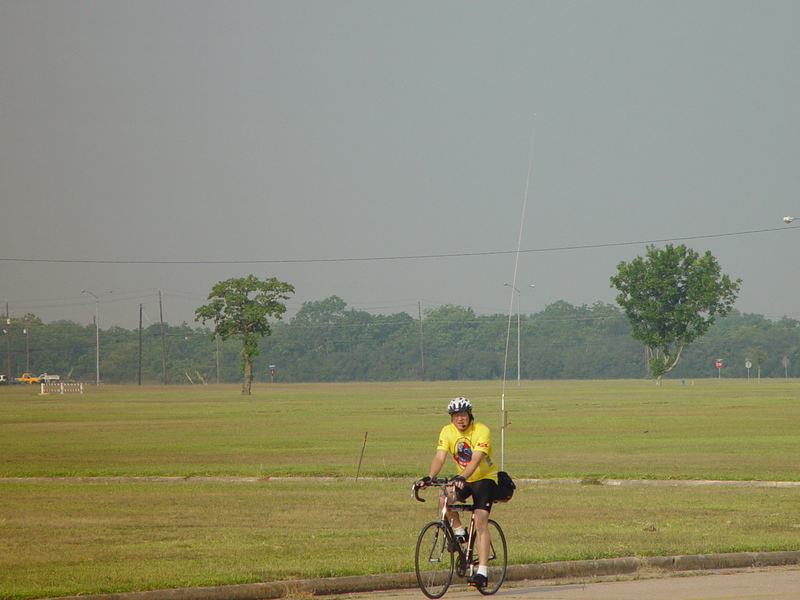 to Ellington field at about 9:00 AM local time when Ralph, W9CAR made a computer recording of our QSO. 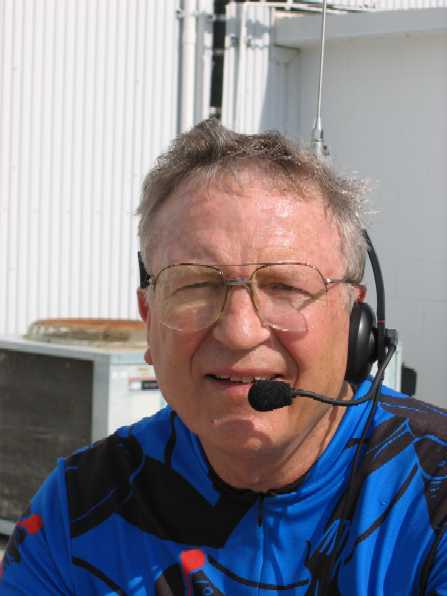 Click HERE for an MP3 file of part of the QSO between W9CAR in Madison, WI and me.